Is Your Blood O Negative or B Negative? The lack of O negative and B negative donors giving blood in the run up to the bank holiday has meant that stocks of these groups could fall below 2 days. So, NHS Blood and Transplant are asking anyone who knows they have these blood types but may have not donated before to give blood now. However, there is a longer-term problem putting real pressure on these blood groups, particularly stocks of O negative. O negative is increasingly being used as an emergency substitute for Ro blood because we don’t have enough Ro blood to meet demand*. This rare subtype is more common in black people, but most people don’t know they have this subtype until they donate and there is a huge shortage of Ro blood donors. 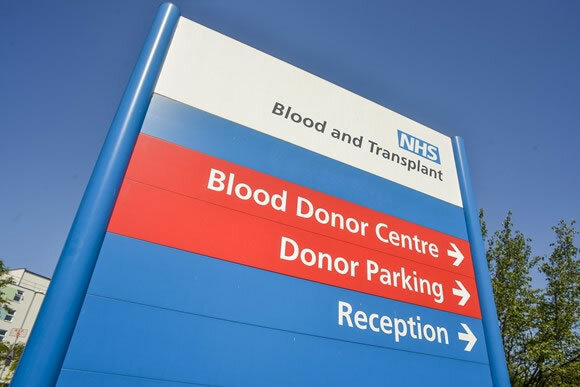 There is currently an urgent appeal for more people from the black community to give blood, as NHS Blood and Transplant needs at least 40,000 new black donors to help these patients. Over 7,000 have come forward since our appeal last June, but more are needed to help ease the pressure on blood stocks and make sure people in need receive the best possible blood match. O negative is also the ‘universal’ blood group and is often used when a patient’s blood type is not known, like in emergency situations. B negative stocks are low also because many patients with serious blood disorders, like sickle cell, need B negative blood. Only 2% of donors are B negative and it is a blood group more common in black people. O negative and B negative donors can walk in and donate at most of our fixed site donor centres, without the need to make an appointment or can call 0300 123 23 23 to ask for a priority appointment at one of our community blood sessions. Mike Stredder, Director of Blood Donation at NHS Blood and Transplant said: "The overall demand for blood is declining year on year. However, the need for specific blood groups such as Ro blood type and O negative are on the increase. *There was a 75% increase in the amount of Ro blood issued to hospitals between 2014 – 2016, with expectations that demand will grow further. A high proportion of this blood will be used to treat sickle cell disease, the most common and fastest growing genetic disorder in the UK.